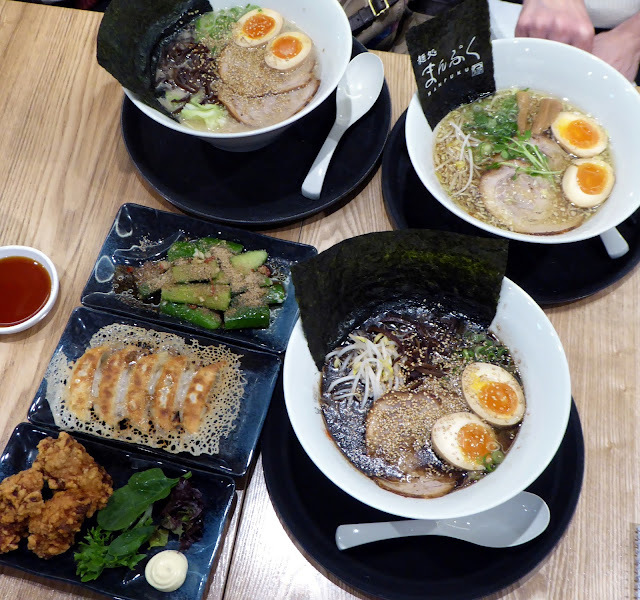 Manpuku, Kingsford's stalwart ramen-ya, has expanded to open a second restaurant in Chatswood. The new restaurant has a similar menu to the original, with a slightly more upmarket interior and atmosphere. Check out my post for Sydney food blog 2 Hungry Guys here, during which I had the pleasure of learning more about Manpuku's top quality ramen and unctuous handmade noodles from Chef Hideto Suzuki. With a ramen to suit all flavour and richness preferences, and a wide variety of authentic broths, there's something for everyone at Manpuku. Slurp away! Love how they print their logo on the nori sheets here. It always amazes. The nori makes everything so much more special!